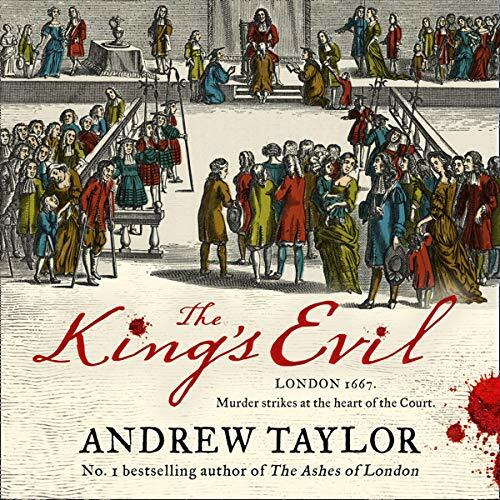 From the number one best-selling author of The Ashes of London and The Fire Court comes the next audiobook in the phenomenally successful series following James Marwood. A royal scandal that could change the face of England forever. London, 1667. In the court of Charles II, it's a dangerous time to be alive. A wrong move could lead to disgrace, exile or death. The discovery of a murder at Clarendon House, the palatial home of one of the highest courtiers in the land, could have catastrophic consequences. James Marwood, a traitor's son, is ordered to cover up the murder. But the dead man is Edward Alderley, the cousin of one of Marwood's acquaintances. Cat Lovett had every reason to want her cousin dead. Since his murder, she has vanished, and all the evidence points to her as the killer. Marwood is determined to clear Cat's name and discover who really killed Alderley. But time is running out for everyone. If he makes a mistake, it could threaten not only the government but the king himself.